The metro carving its way through Medellin. 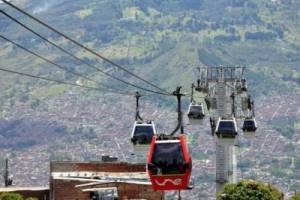 Medellín is exploding—however, not in the way most westerners might think. Gone are the days of senseless violence, drug cartels, assassinations, and right-wing paramilitary takeovers that marked the last part of the 20th century. This northwestern metropolis in Colombia is now synonymous with technology advancement, productivity, ingenuity, and community building. The turnaround is astonishing; five-star hotels, luxury condominiums, first-class entertainment, and restaurants that push the edges of gastronomy now carpet the city. Recently, Medellín was named as the winner of the Innovative City of the Year competition, beating out New York and Tel Aviv. Transportation: The metro is fast, clean, and provides access to most parts of the city. Taxis are super cheap. Try the metrocable—a gondala ride that takes visitors high up into the hills, showing breathtaking views of the gorgeous valley. Hillside residents use the metrocable to go to work in the city center. Don’t miss: The Botero Plaza and Museo de Antioquia hold several works of art by Fernando Botero, Medellín’s most well-known artist. Make your way to Parque Explora, an indoor and outdoor interactive science center. It boasts South America’s largest aquarium and 3D cinema. Parque de Los Pies Descalzos (Barefoot Park) is a beautiful space where families and college students relax near bright open-air cafes and outdoor fountains. 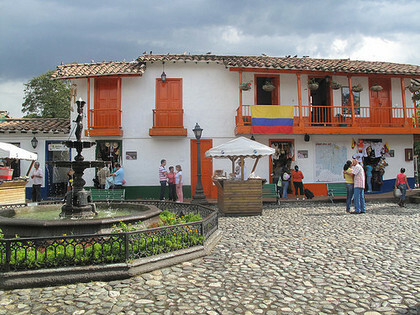 Swing by Pueblito Paisa—an exact replica of a typical Colombian village. Sample the Bandeja Paisa (a plate of beans, rice, plantain, chicharron, fried egg, and avocado). 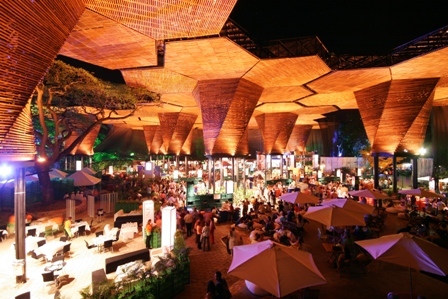 Strains of Vallenato music will evoke tranquil sensations as you stroll among the artisan craft and food stalls. Attending a soccer game in Medellín is A MUST. Take the metro to Estadio, get off and walk to the stadium. 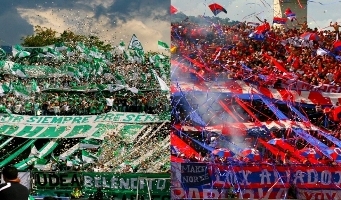 You’re either rooting for the Nacional team (white and green colors) or Medellín (red and blue). Be warned: Fans take their teams very seriously! Dedicated Nacional and Medellin fans! 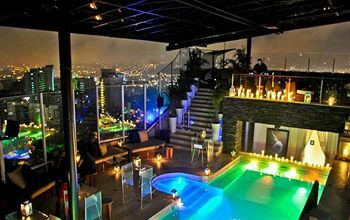 Nightlife: Go to Parque Lleras (pronounced Park-ee Jeras), known as the Zona Rosa of Medellín (THE place to hang out and be seen). Thousands of locals and tourists flock to this upbeat grid of restaurants, cafes, bars and clubs. Vinacure is a popular spot due to its eccentric night-circus ambiance. Guests (often masked) come to enjoy the Cirque du Soleil-esque acrobatic performances. Teatro Matacandelas has incredible experimental theater. Enjoy some coffee and explore the quirky art gallery before the show. 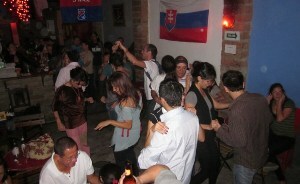 Dancing salsa at El Eslabon Prendido. SALSA ANYONE? El Eslabon Prendido is definitely a diamond in the rough. You will never have a better time in a small, dark, and cramped space. Slither your way up to the bar and chug down a shot of aguardiente. More salsa? Ask the cab driver to take you La 33 or La 70. These streets are lined with dive salsa and reggae bars that pulse well into the night. Stay: Cash strapped? Try Upcycle Hostel, located only 1 km away from Ayura metro station. You’ll have access to free Wi-Fi, a fully stocked kitchen, and swimming pool. From $13 a night. Money to blow? The Charlee Hotel may be for you. Sleek and spacious hotel rooms are filled with top-of-the-line amenities. Models, actors, and industry professionals cluster nightly around the swanky rooftop pool. From $160 a night. Rooftop pool at the Charlee Hotel. This entry was tagged Antioquia, Bandeja Paisa, Cirque du Soleil, Colombia, culture, discover, Eslabon Prendido, Fernando Botero, innovative, Medellin, Parque Lleras, South America, Tanya Harry, The Charlee Hotel, tourism, vacation. Bookmark the permalink. Many thanks Abel! I appreciate the feedback. I’ll definitely work on more “must reads” in the future! All the best to you!